Inc – Increase – put 2 stitches in the one stitch to increase. 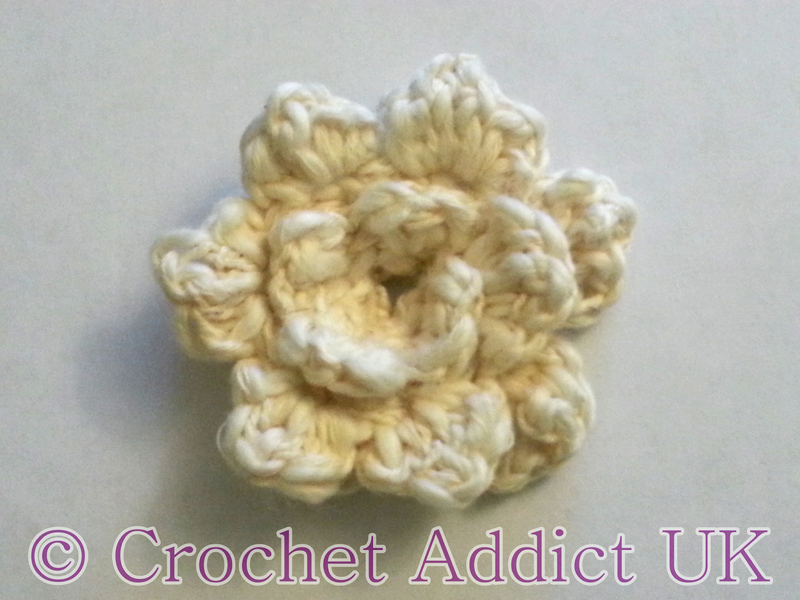 Leave enough yarn to sew the flower together. Roll the flower around remembering to leave a space in the middle to put the button through and sew together.